The Maldives has introduced what may become the next innovation. 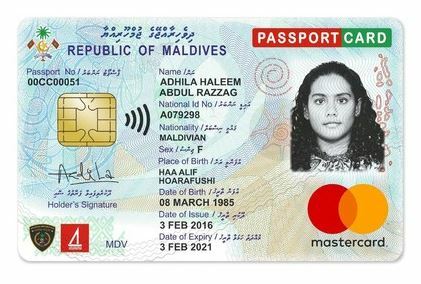 Maldives Immigration has introduced a new type of ID card that replaces your credit card, passport, drivers license and healthcare insurance card all wrapped up in one. The next step will be to put this on a biochip and insert it into your skin so a thief would have to cut your arm off to steal it. Guess we are getting closer to the Minority Report. Hm.